Makobi Scribe is hosting the Unique Gift Ideas Event with a Sumo Lounge Beanbag Chair as the grand prize! 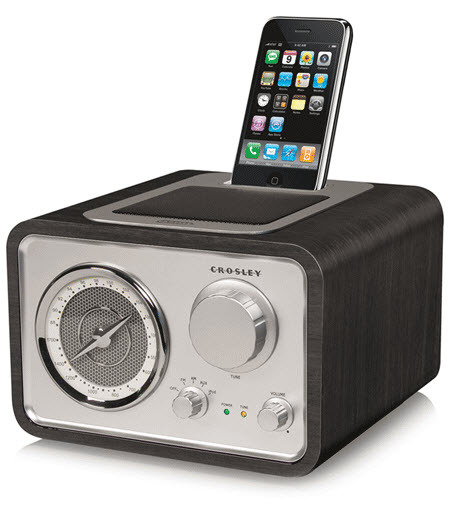 Crosley is giving one lucky MommyDigger.com winner a Crosley iSolo Radio! I just love anything that has a vintage look to it and I try to incorporate touches of vintage decor througout our home. When I first saw the Crosley iSolo radio I knew I had to have it and, luckily, I recieved one for review! Of course the first thing I love about the iSolo radio is the style. It has a classic vintage design and has a lovely old-world feel to it, I especially love the dial that looks like it’s straight out of the 40s. The sound quality of the iSolo is exceptional, you would think you were listening to a entertainment system rather than a tabletop radio, the sound is crystal clear and I was pretty blown away by it! You can even dock your iPhone or iPod and listen to all your mp3s while your iPhone is charged by the iSolo! If you feel like listening to the radio you can with the built in AM/FM radio. The tuner, volume and mode settings are all adjustable with the vintage style knobs with a brushed silver face and black woodgrain body. It is a looks great onour kitchn countertop and I love to listen to music with it while I cook or bake. Plus, it charges hubby’s iPhone while we jam out! Crosley Radio is giving one lucky winner an iSolo radio! To enter, fill out the Rafflecopter form below. Ends 7/13 at 11:59PM EST. CR12DI Digital Full Size Jukebox. I always look quality gifts online pushing my luck to find affordable items for me and my love ones and I am glad I am able to find reliable sources like this one.